8th Row - sl st in first dc, * (1sc, ch2, 1sc) in next dc, skip 2dc, * rpt from * to * to last 3dc, skip 2dc, (1sc, ch2, 1sc) in next dc, sl st to first sc on beginning of row. Turn. 9th Row - sl st to first ch2 space, ch3, 2dc in same space, work 3dc in each remaining ch2 space to end, sl st to top of ch3 on beginning of row. Turn. Rpt 8th & 9th Rows until six 3dc group rows have been worked in all. Do Not Turn. Brim - Working sl st in top of ch3 (not first dc) rpt 8th Row. Turn. 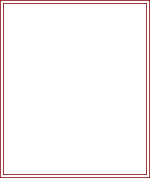 Starting with 9th Row continue in pattern as set, turning at the end of each row until two more 3dc group rows have been worked. Fasten off. Finishing - Weave in any ends of yarn, fold back brim onto right side of beanie. Make a medium pom-pom, and attach to crown. I used a Clover Pom-Pom maker size 65mm. 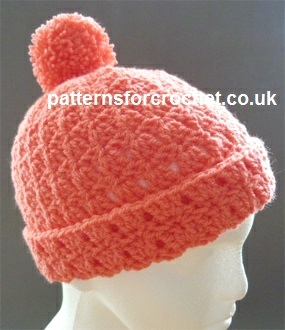 Hope you enjoy this free crochet pattern for a matching bobble hat.